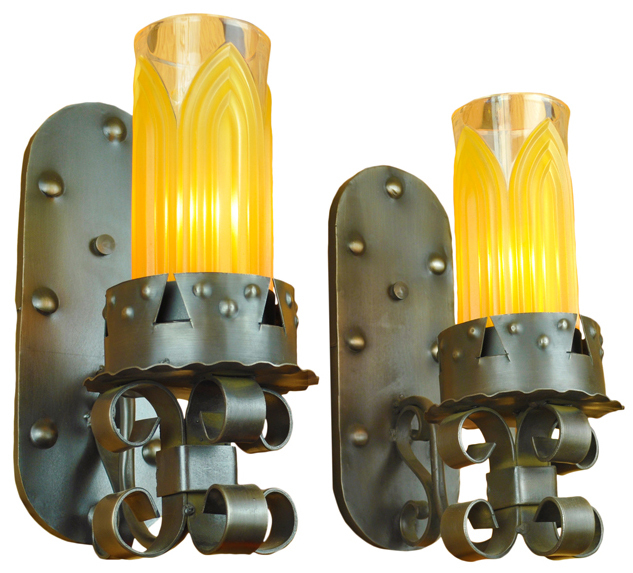 Gothic style torch light sconces, the torch design giving the hint of a gothic style. 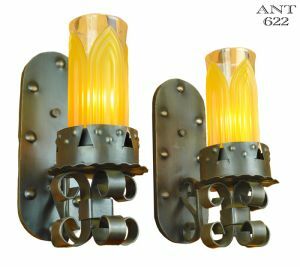 The shades are so fascinating with those embedded arch designs...super different and interesting...and uncommon. Projection: 9" from the wall into the room. Ready to go...nothing needs to be done except add the light bulbs. 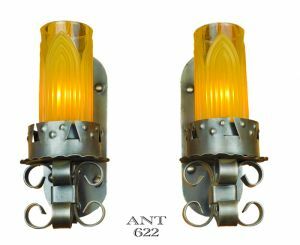 These sconces have been completely rewired in our UL shop, and are supplied with all the mounting hardware. 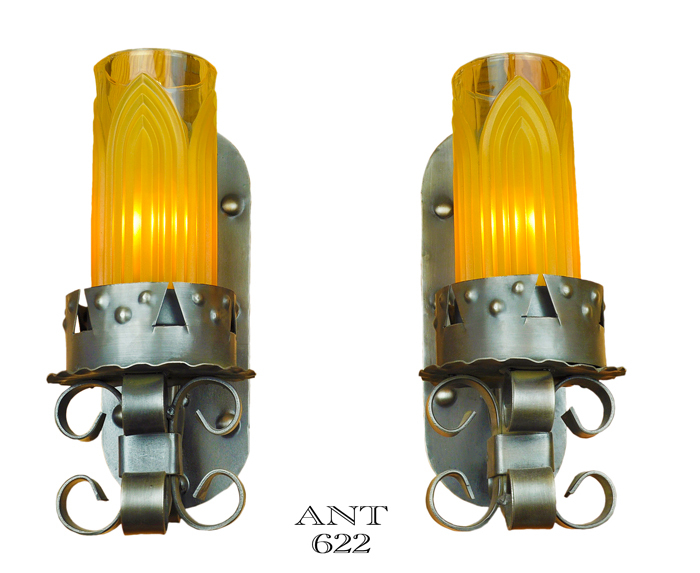 $575.00 for the complete pair as shown...plus careful packaging and shipping.